20 cm 538p. : ill. Reprint. Originally published: London: Simon & Schuster, 1992. 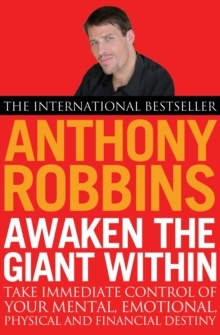 The author offers advice on such matters as mastering emotions, overcoming debilitating habits such as over-eating, drinking and drug abuse, unleashing the hidden power of body and mind, improving personal and professional relationships, and taking control of personal finances.